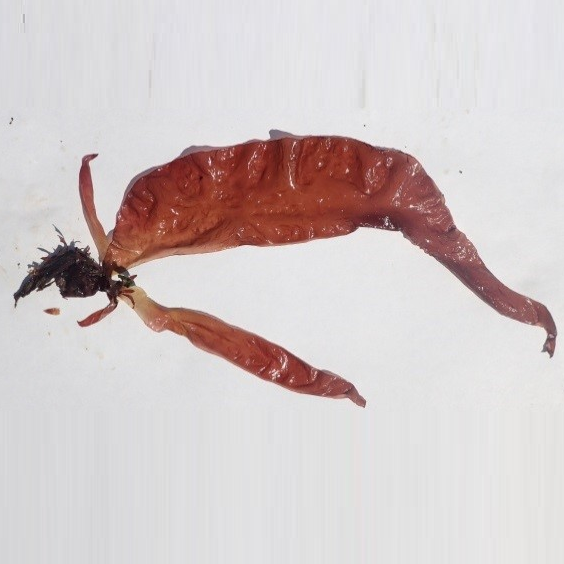 Devil’s tongue weed is a large red alga from the NW Pacific, with broad slippery blades and a very small holdfast. Although it has been present in the UK since 1969, in recent years it seems to be spreading more aggressively. 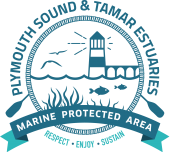 It is common in Plymouth marinas and is regularly found locally on the natural shore. It is believed to have been introduced through shellfish imports. 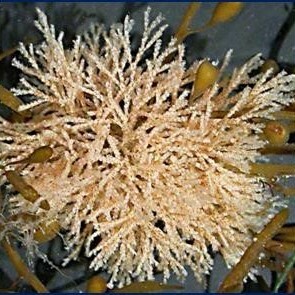 It grows on artificial and natural hard substrata, including rock pools, shells and stones. It is tolerant of variable temperature and salinity regimes. 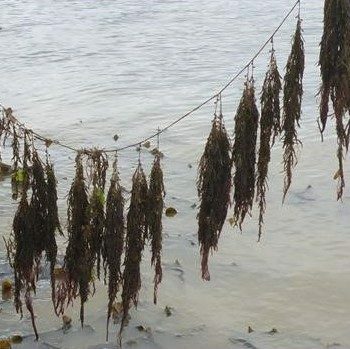 G. turuturu’s large size and high reproductive output means it can out-compete many native macroalgae in the low intertidal and shallow subtidal zones; it can also alter trophic patterns and cause habitat loss through shading.